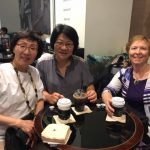 Reconnecting with Graduate School alumni has been the highlight of my summer. 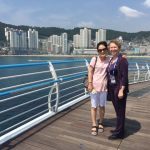 I have had the opportunity to visit with alumni in Seoul and Busan, Korea; Dallas, Denton, Ft. Collins, Denver and on campus. 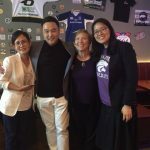 In June, Dr. Jessica Elmore, Associate Director of International Programs at the K-State Alumni Association, Kedric Elmore, and I hosted three alumni events in Korea. 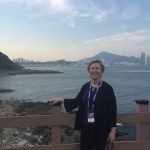 The first event in Seoul was attended by six alumni who earned either the master’s or doctoral degrees in Food Service and Hospitality Management and for whom I had served as their major professor or a member of their supervisory committee. 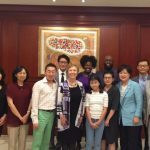 We hosted a university-wide event with the Korea Alumni Club that was attended by 9 alumni, three current faculty, the Elmores and me. 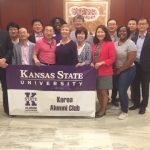 In addition to learning about the career successes of the alumni and their favorite memories of K-State, Dr. Elmore presented Dr. Kyung-Goo, President of the Korea Alumni Club, an official Alumni Association Club flag. We also shared updates about K-State and the Graduate School. 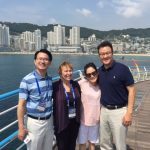 We traveled from Seoul to Busan where I had the privilege of serving as an invited scholar at the Asian Pacific Tourism Association Conference (APTA) and moderated a panel, “21st Century Knowledge and Skills for Hospitality and Tourism: Preparing Students For Diverse Careers Panel”, for the graduate students attending the conference. 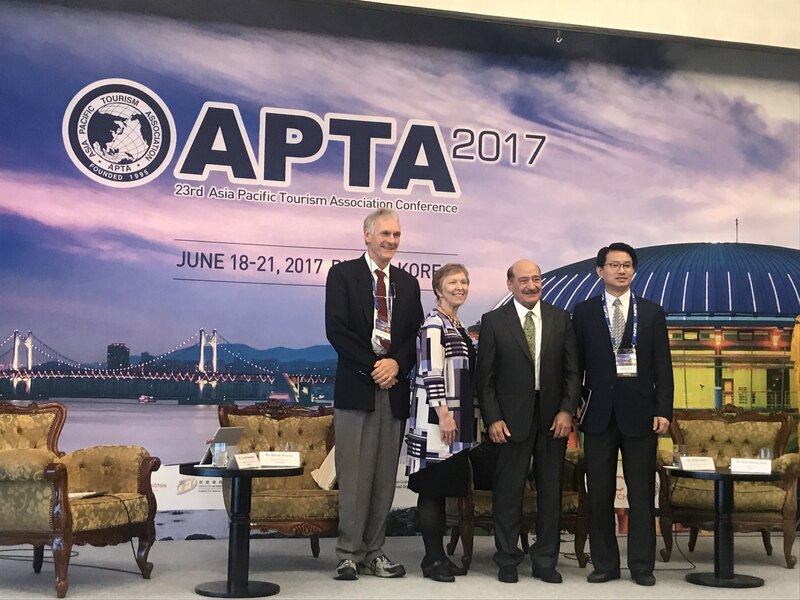 We hosted an alumni event attended by 11 alumni, many of who were presenting their research at APTA, and two current faculty. We had a delightful evening as the alumni shared stories about their memories when they were graduate students and their career successes. All the alumni commented on how much they valued the support and mentoring they had received from their major professors, committee members, and the staff in the International Students and Scholars Office. 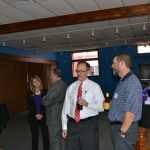 They were encouraged to recruit outstanding students for K-State and to stay connected with their programs. 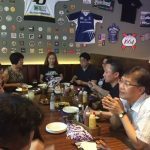 The photos illustrate the great time we had connecting with our alumni in Korea. 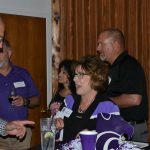 I have enjoyed connecting with K-State alumni as I have traveled for work responsibilities throughout the summer. One example was a visit with an alumni who I had not seen in over 12 years since he completed his Ph.D. 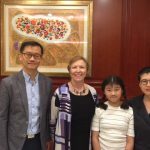 Even though we had stayed connected via email and social media, it was especially rewarding to visit in person and meet his wife. Regardless of where I traveled or meet alumni, the message was the same: the alumni are proud of the degrees and had fond memories of the time they spent on campus and in Manhattan. The Graduate School hosted a Graduate Student Council Alumni Reunion on July 14-16th for former and current officers. 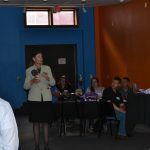 The group enjoyed Call Hall ice cream, tour of our new space in Eisenhower, a social at Colbert Hills, a guided tour of the Konza, dinner at our home, and a brunch at Wahoo Fire and Ice. The alumni shared how their leadership experience and engagement in GSC had contributed to their professional development and GSC accomplishments during their service. 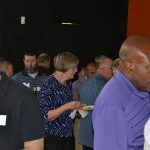 Based on the positive feedback we received our next GSC Alumni Reunion has been scheduled for June 7-10, 2019. 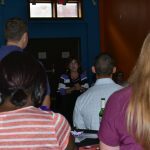 Read more about the 2017 Graduate School Alumni Reunion. 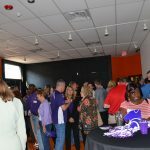 On August 3rd, the Graduate School and the K-State Alumni Association hosted an alumni event for graduates who had completed their graduate degree(s) at Ft. Leavenworth and new students who will begin the program in August while attending the Command and General Staff College. Alumni had completed either a master’s and/or doctorate in Adult Learning and Leadership, formerly Adult and Continuing Education or Security Studies. 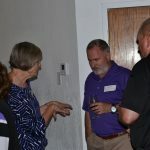 Over 80 alumni, K-State administrators, faculty members, new students and spouses attend the fun evening of reconnecting with colleagues and faculty members. 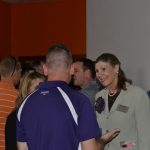 April Mason, Provost and Senior Vice-President extended greetings from K-State administration and Amy Button-Renz welcomed the alumni and encouraged them to stay connected with the Alumni Association. Dr. James Martin, Provost of the Command and General Staff College, was also in attendance; his support of K-State’s graduate programs was acknowledged. K-State has offered a graduate program in Adult Learning and Leadership at Ft. Leavenworth since the late 1980s. The Graduate School team looks forward to staying connected with our alumni and appreciate their support. Each of you are invited to visit when you are on campus and tour of new space in Eisenhower.